Biogas was once the domain of third world countries, but people at build-a-biogas-plant.com show that as energy costs skyrocket and new biogas designs come on the market, even people in a Western city can benefit from a biogas digester. Biogas is produced when organic matter is broken down by bacteria. The organic matter could be cow dung, but equally it could be the food scraps we throw away every day in our homes. Instead of these scraps going to landfill, they could be put far better use and go into a digester to produce biogas. The biogas is made up of a large amount of methane, and methane is the important ingredient in biogas. Like natural-gas, biogas can be burned and used to heat water, create lighting or run our cooking stoves and it can even be used to run generators which produce electricity. “We have been overwhelmed by the response to access the biogas information,” said Simon, a staffer at www.build-a-biogas-plant.com. “Our digester designs cater for individual’s household use, but larger systems are also available for communities, farms and other commercial businesses”. In the United States alone, billions of tonnes of manure are produced each year by millions of cattle, pigs and chickens. Imagine how much electricity would be produced if all this dung was processed in biogas digesters? Not only would it replace a lot of natural gas but the residue makes a wonderful fertilizer (often better than commercially prepared products). The Sierra Nevada Carbon Cooperative (SNCC) can’t tell you the price for watching the Alpenglow sunset over Waddle Ranch, but they can tell you the price for carbon offsets created by preserving this 1,500 acre property. As fine a vision as open spaces in the setting sun may be, the bigger benefit here is the potential for a model that finances forest conservation. 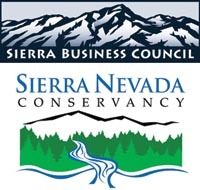 The Sierra Business Council created the Sierra Nevada Carbon Cooperative in 2008 with start-up funding through a Sierra Nevada Conservancy grant. The SNCC is actively engaged in the first pilot project based on avoided deforestation—carbon credits for preventing the planned residential and golf course development. The Waddle Ranch project in Martis Valley will be registered and verified this month with the California Climate Action Registry (CCAR). Based on the inventory of the carbon pools on the forest and a calculation of the baseline, CCAR serializes each ton of carbon registered. These can be permanently retired once purchased or held in the project’s account. The SNCC acts as a liaison, connecting buyers of carbon offsets, landowners, and CCAR, to develop, register, and market these forest carbon offsets. Funds are returned to land owners, allowing owners to finance the conservation and ongoing stewardship of their land. The Sierra Nevada region is a prime location for carbon offset projects. SNCC forest projects are certified under the highest standards, ensuring multiple co-benefits, such as protecting California’s upper watershed lands, maintaining wildlife habitat, and fostering a new green economy in a region with a long history of resource extraction. Come hear SNCC program director Betony Jones discuss this project, and other important carbon impact reduction programs from the Environmental Defense Fund and The Nature Conservancy at the Sierra Solutions conference. Hosted by The Sierra Business Council and the Sierra Nevada Conservancy, SIERRA SOLUTIONS highlights leading sustainability speakers.